One of rugby’s finest assets is how respect for officials gets engrained in players from the moment they first take up the sport. Addressing a referee as “sir” is not a juvenile trait – it’s a proud habit that stays throughout a career. Sadly though, the television review process has put this culture in danger. Friday night at Franklin’s Garden’s should have been a firecracker. The meeting between Northampton Saints and Harlequins – two sides with Test quality – had all the makings of a compelling tie. Everything started to plan. Both teams sparred skilfully during a fast-paced opening. That the first half descended into an avalanche of scrum re-sets was not the fault of referee Greg Garner. His primary job is to ensure player safety. The muddy surface made that tough. A stunning finish from George North sparked proceedings after the break, Quins fanning out to chase the game in typically attractive style. 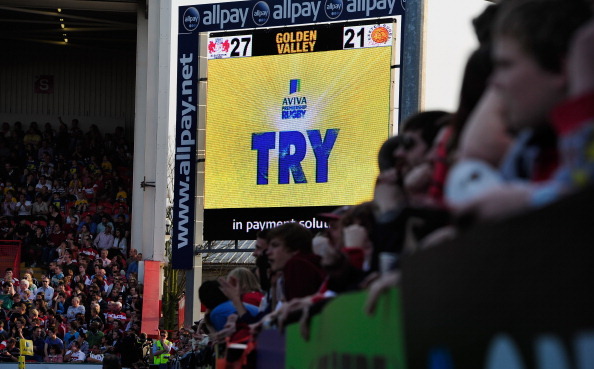 With less than 20 minutes to go, Ben Botica clawed the visitors back to 13-9 behind. Then came the incident that encapsulated everything wrong about television match officials. North returned an iffy clearance and was smashed by a seismic Joe Marler tackle, sparking a turnover and two separate bouts of handbags in plain view of the touch judge Paul Burton. Courtney Lawes swung an elbow at George Robson, while Salesi Ma’afu aimed an open palm onto Will Collier’s chin. Meanwhile, exciting Northampton full-back Tom Collins launched a counter by chipping over Tim Molenaar, getting body-checked on the chase. From five metres away, Garner saw nothing untoward. 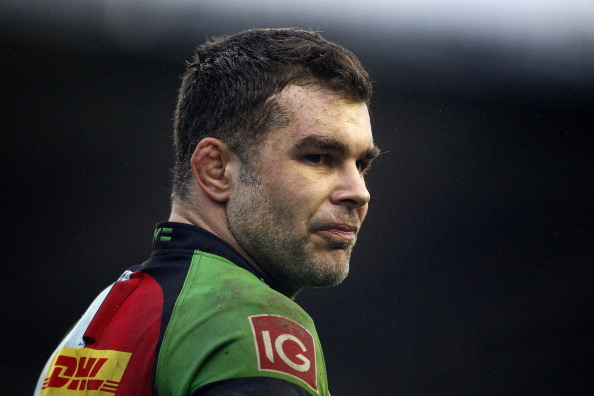 A fractured passage of Quins attack continued, ending only when Calum Clark won a penalty for holding on. Spectators, stoic early on, were stirred into frenzy. Garner halted play and asked TMO David Grashoff for a look at Molenaar’s challenge. Moments went by. Vociferous cries of “off, off” from the 13,475 crowd morphed into a slow hand-clap. Numerous replays later, Garner decided to overrule himself (which must feel rather strange) and award a penalty for Molenaar’s challenge. But we weren’t done. Rather than seek the opinion of his assistant Burton – stood spitting distance away from the melee – Garner required a viewing of the scuffle between Lawes and Robson. To complete the farce, Grashoff reviewed Ma’afu’s slap, just for kicks. Keeping up? 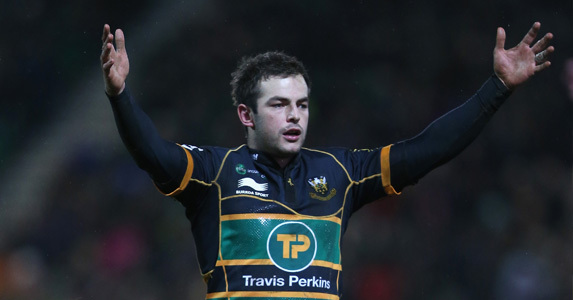 Neither exchange was deemed illegal enough to warrant a penalty, so after around ten minutes, freezing cold Saints supporters watched Stephen Myler extend the hosts’ lead from the site of Molenaar’s obstruction. But the encounter had gone flat. At the Premiership launch, Mark McCafferty announced that each of the competition’s 135 matches would have a TMO – not only to review questionable instances up to two phases before a try, but also to look at potential foul play as part of an IRB trial. Wonderful news, we thought. Not any more. Over-reliance has crept in. Not universally, granted – Luke Pearce’s performance during Gloucester’s defeat to Saracens on Saturday was excellent. But it seems on the whole that on-field officials would rather take chunks of time to ‘go upstairs’ than trust their initial (usually accurate) judgment. Touch judges are almost obsolete. They may as well be tracksuit-clad replacements from either team – it’s good enough for the grassroots game. The problem is not restricted to England’s domestic scene. Ulster’s Pro 12 win over Munster on Friday saw Alain Rolland, renowned for rapid decisiveness, spend an age asking his TMO to observe alternative angles. Then he made a pivotal call without help, controversially adjudging Munster to have been held up over the line in the dying moments. Nobody is disputing how hard the job of a professional referee is – quite the opposite. Spurious review sessions encompassing each decision and non-decision in every game are supplemented by an arduous physical training schedule. With rocketing financial rewards, there is more pressure to get things right. The growing influence of a TMO is not always making that easier, though. Time is money, and lulls in action to deliberate over flat passes and rabbit punches are damaging a valuable product. Head back to Franklin’s Gardens for the final exchanges. 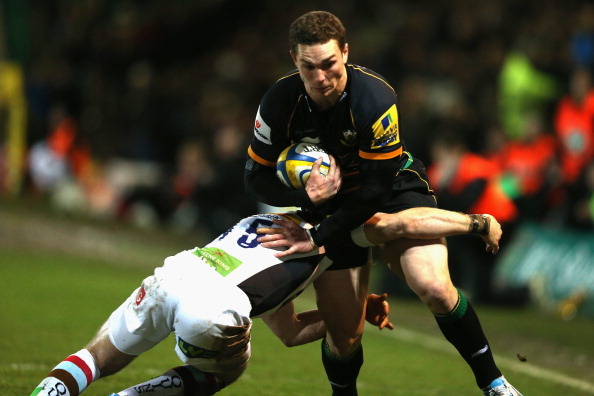 George Pisi fired in on a one-man blitz and almost took Matt Hopper’s head off. Garner – on the spot again – calmed the situation down admirably and contacted his TMO. Approximately 20 rewinds later, a savage swinging-arm to the face had inexplicably drawn a yellow card on Grashoff’s recommendation. Occasional human error in the heat of the moment is excusable. It can even enhance the drama of a match. Blunders are far less tolerable when television replays have caused a thumb-twiddling spell beforehand. A post-match tweet by Nick Easter that suggested Saints coach Dorian West had influenced Garner was rather naughty, but it was also symptomatic of disillusionment with the TMO system and growing animosity towards referees as a consequence. Give decision-making sovereignty back to officials and their touch-judges so everyone can start respecting them again.